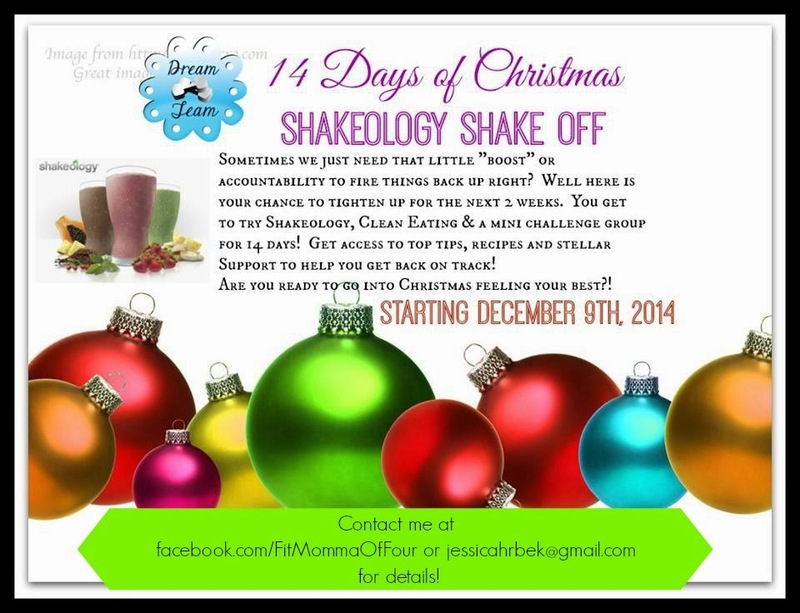 Looking to try out Shakeology but not ready to commit to a full month? The 14 Day Shakeology Shake-Off is your perfect opportunity to learn the benefits of Shakeology first hand, get the tastiest recipes, and get health & fitness tips too! The Shake-Off group will be held in a closed group on Facebook that can only be accessed by Shake-Off participants. Sound good? Spots are limited, so don't wait! The Shake-off begins December 9. Your first step is to go to www.beachbodycoach.com/JESSHRBEK& set up a FREE membership to have me as your coach. 1. Get 14 single serving packets that I can ship to you. I have chocolate & a few vanilla. You can get all one chocolate or chocolate with a few vanilla. It is $5 per packet, so that is $70 for the 14 days, plus $5 for shipping. 2. You can order Shakeology HD through my web site which gives you a bag with a 30 day supply. This method breaks down to about $4 per serving, gives you free shipping, plus I'll send you a free shaker cup. In addition, there is a "bottom of the bag guarantee" with Shakeology HD. If you try it & decide it's not for you, you can return it (even an empty bag!) for a full refund. Which will work best for you? Email me at jessicahrbek@gmail.com or send me a message at www.facebook.com/FitMommaOfFour to secure your spot in the 14 Day Shakeology Shake-Off. Shakeology is an all- natural health shake that is used to replace one meal or snack a day to promote better over-all health, digestive balance, curb cravings, increase energy, & aide in weight loss. It's like 6 trips to the salad bar in a glass. With chocolate, vanilla, tropical strawberry (vegan), greenberry, & vegan chocolate to choose from you are sure to find a flavor you will love! Click here to check out my favorite Shakeology recipes.